Home » Our Blog - Punta Cana Secrets » Punta Cana airport transfers – how to get to your resort? Are you going on vacation to the Dominican Republic? Well, you have already booked flights to Punta Cana, and surely booked one of our amazing beachfront villas or apartments. You are looking forward to an unforgettable beach holiday in paradise. You are already mentally here enjoying the sunshine, the sea breeze. The dreams of white beach and warm azure ocean have indeed captured you… But wait, are you sure you took care of everything? So, what about Punta Cana airport transfers? We are convinced that for the best vacation experience you need to think about every detail of your trip. Of course, your adventure in the Dominican Republic starts right at the airport. Most tourists arrive at the international airport of Punta Cana. Punta Cana airport code is PUJ. It is Dominican Republic’s leading airport for inbound flights to the country. Punta Cana is the main tourist destination of the country, so you will probably arrive at Punta Cana airport to head to your resort. Therefore, we strongly recommend thinking in advance about Punta Cana airport transfers. Why should you take care of Punta Cana airport transfers in advance? We recommend that you contact only licensed car rental and transportation agencies. Book Punta Cana airport transfers only from official companies. Of course, you can catch a car or taxi on the spot, but doing this you run a risk. For example, you can get poor quality service dealing with taxi hustlers. Moreover, you may meet scammers who upon arrival can require twice as much money than you have originally agreed. At best, you can also contact drivers who don’t know the roads and can’t find the way to your villa. In general, they don’t bear any responsibility for the quality of Punta Cana airport transfers. You have no guarantees about how your trip is going to turn out. Finally, you may just be uncomfortable in the car you catch. You may not be satisfied with the size, cleanliness, comfort and representativeness of the car. You may not like to communicate with a taxi driver who does not understand English. Book a transfer in Punta Cana with us! If you do not want to spoil your holiday right from the airport, book a transfer with us. We cooperate only with licensed reliable companies. Also our team is responsible for the quality of our services. We can guarantee pleasant emotions from the trip. To emphasize, we believe that comfort is the core and no small thing should spoil your mood. You can book a transfer as well as rent a car at affordable prices with us. It is a responsible approach for a traveler to plan Punta Cana airport transfers in advance. You do not lose in price and quality. Why choose Everything Punta Cana? We strongly recommend you to book Punta Cana airport transfers with us. Our professional driver will wait for you at the airport, help you to load your luggage into the car and take you straight to your accommodation. In addition, you can choose any kind of car depending on your preferences and the number of guests. 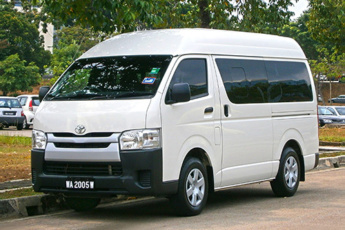 If you are traveling with family or a large group of friends, you can book a minivan for up to 8 people. In case you come to celebrate a birthday or wedding in the Dominican Republic, you can even order a VIP limousine. 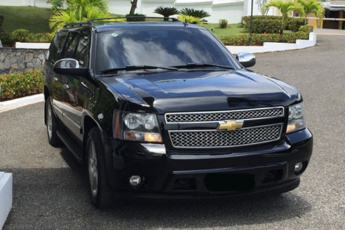 Surely, this type of Punta Cana airport transfers will best match your festive mood. For other cases, we can also offer the cars of representative class. 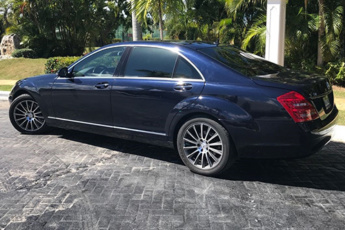 Ordering Punta Cana airport transfers here, you get a professional driver familiar with local roads, quality service, comfortable and representative car at reasonable prices. After all, we consider it unwise to catch a ride of unknown quality, trying to save a few dollars. You can book Punta Cana airport transfers in advance and on clear terms. We highly recommend you to book your Punta Cana airport transfers with us to save both time and money. With us your trip will start positively and you won’t worry about anything. So, just book the transportation services with us online and enjoy your vacation in the Dominican Republic!